Thursday Tidbit: To Detox Or Not To Detox | food.heal.thrive. 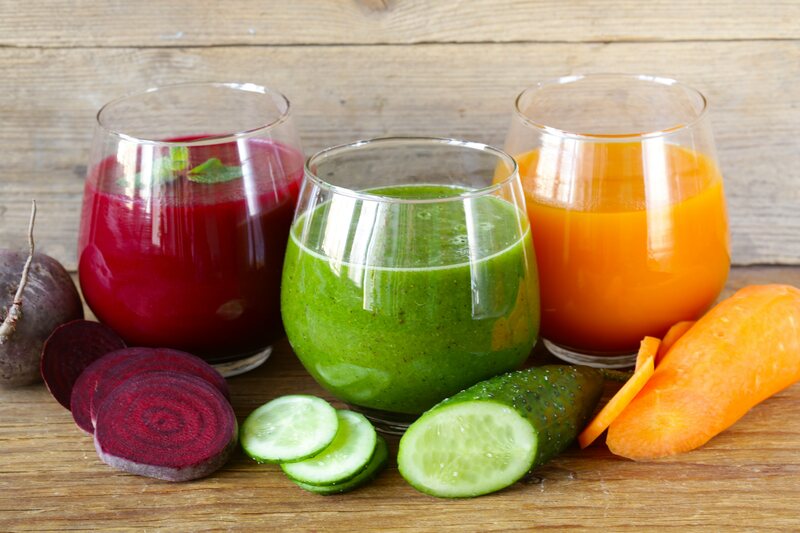 Detoxification programs abound and might even sound tempting when the beach vacation looms ahead or the high school reunion is up next month. Detoxification is a word brandished so much that we lost sight of what it really means. Detoxification: the process of removing toxic substances. So basically, removing toxins from our bodies to help reboot our health. Notice the definition is not a quick method of weight loss as it’s been popularized. We each carry a toxic load, some more than others. Don’t think you’re the exception, unless you’ve been living on a deserted island with a volley ball named Wilson. We are bombarded by toxins every day and our bodies have to deal, and sometimes our bodies give up. The US permits more than 84,000 chemicals to be used in food (see Dr. Mercola’s article here), food packaging, household cleaners and cosmetics. Though one chemical by itself may respect the toxic limit, the combination of all chemicals creates a storm that wreaks havoc on our physiology. As clean as I love to eat and live, I can’t get away from toxins but I can minimize my exposure: I avoid drinking out of a plastic bottle, I avoid commercially raised meats, I don’t use commercial household cleaners, I don’t use commercial air cleansers and I avoid cheap cosmetics. What do I use? Organic produce, grassfed and pastured meats, I make my own cleaning products and air cleansers using vinegar, essential oils and minerals, I buy cosmetics from reputable companies who never test on animals and use clean ingredients. If you want to know more about my recipes and companies I use, please contact me. Even though as a population we are collectively toxic, I don’t recommend a detox program without professional supervision. Let me explain why. Let’s take Suzie for example. Suzie is 44 and wants to lose 30 pounds. She tried everything in the past to lose weight, Weight Watchers, Atkins and veganism, without success. She heard of The Master Cleanse (or The Juice Fast, or whatever fad program) and wants her friend Megan to do the detox with her. The Master Cleanse is a fairly popular and established detox program. It consists of water with lemon juice, maple syrup and cayenne pepper. Nothing else. No food for 10 days. It’s a challenge that scares Suzie but she feels she has nothing to lose. She chooses to start the challenge on a long weekend to which she tacks on sick days to spend less time at work. The first three days are awful. Suzie feels lightheaded and cranky. Her friend Megan has some hunger pangs but seems to be doing fine. Losing 8 pounds in 3 days is what keeps Suzie motivated. By day 7, Suzie feels nauseated just smelling the lemon, maple and cayenne concoction. She also feels like her heart is beating overtime, she has no energy, she’s got a constant headache, she can’t poop, and since she’s back at work, the smell of food at lunch time really tries her willpower. She’s also frustrated because Megan is rocking her detox with little symptoms. With 3 days to go, Suzie is wondering if all this pain is worth it. She keeps it up to the 10 day deadline and is relieved with it’s over. She lost 17 pounds total and is thrilled about this result. But now Suzie is confused about what to eat after the detox. She also wonders why Megan didn’t suffer as much as she did. Three months after the detox, Suzie is back to her original weight. What’s weighing her down is not just the fat that came back with a vengeance, but the knowledge she’ll never be able to do the detox again (it was too hard) and the fact that she’ll probably never lose the extra pounds. She sinks into depression which drives her to make bad decisions about food. Does this story seem familiar? It’s fictional but I know it’s close to reality. What went wrong for Suzie? Why was Megan able to rock her detox but not Suzie? When Suzie started her detox, her body was not ready to shed toxins. Imagine a house with all of its windows, doors and chimneys closed up tight. Now imagine that you insert a large tube into an opening and inject smoke inside. Where will the smoke go? The smoke will invade every room until there the house is filled to capacity. Smoke might even find all the tiny cracks and escape a little that way. It’s the same for our bodies. We have detoxification pathways that need to be working and opened before we start a detox program. If our pathways are clogged, all those released toxins have nowhere to go but back inside our bodies. We need proper digestion, proper liver function and proper flow of bile from the gallbladder to excrete toxins. The kidneys have to be optimal to filter out toxins. Toxins are often stored into fat cells where they can’t hurt the body, but if a fasting detoxification program is started without the body being prepared, fat loss will occur but the toxins will be released with no way out. So before initiating any kind of detoxification protocol, it’s important to address all digestion issues for at least two months. Maintain a diet free of processed foods, pasteurized dairy and pesticide-laden produce for that period of time and include helpful foods like beets, broccoli sprouts, green leafy vegetables and lemon. Only then a detoxification program will be beneficial. And this is why Suzie had such a hard time with the Master Cleanse. Her body wasn’t ready. Dry brushing: our skin is our largest elimination organ. Dry brushing removes dead layers of skin and opens the pores. It stimulates circulation, allows the skin to become a more efficient receptor for nutrients and it helps with oil- producing glands. Enemas are very effective with detoxification by cleansing the colon and stimulating the liver to move the bile, the main way of waste elimination. Find a good colonic practitioner in your area, or learn how to do one at home. Sweating helps with eliminating toxins. Dry infrared saunas are great for a good sweating session, but you can also exercise to the point of sweat. Oil pulling is also a good way to detoxify and it’s great for dental hygiene. Most importantly, eat a clean diet, low in sugar and processed foods. Add in foods mentioned above and buy organic whenever possible. Use little cosmetics, and if you do, buy ones with little chemicals. Find a natural deodorant and get rid of your aluminium laden antiperspirant. If you suspect you have a high load of heavy metals, get your doctor to test you. Detoxing from mercury or cadmium is not to be taken lightly. You don’t want these toxins entering your blood brain barrier so find a professional detoxification practitioner. Dr. Mercola has extensively written on the subject of mercury toxicity. You can find one of his article here. I hope you found this information practical. Please share your experience with any detox program below in the comment section.